Royalpicks offer the flexible car tariff. We are calculated the car tariff based on type of car models and time. We provide the hourly tariff, daily tariff and monthly tariff for increasing your convenience. Royalpicks offer the self drive Car MARUTI ALTO for Rent per hour: Rs 80/-, 12 hours: Rs 700/-, 24 hours: Rs 1300/-. 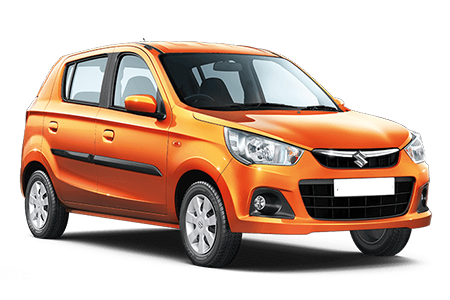 Self drive car for rental in Coimbatore MARUTI ALTO has 1 Petrol Engine and 1 CNG Engine on offer. MARUTI ALTO Petrol engine is 796 cc while the CNG engine is 796 cc. It is available with the Manual transmission. Depending upon the variant and fuel type the Alto has a mileage of 24.7 kmpl to 33.44 km/kg. The Alto 800 is a 5 seater Hatchback and has a length of 3430mm, width of 1490mm and a wheelbase of 2360mm. 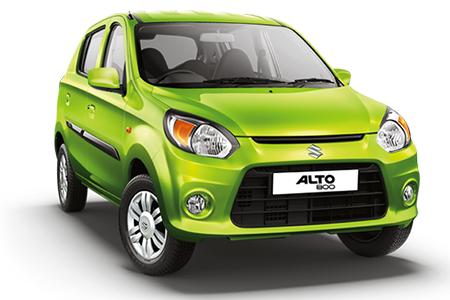 We offer a MARUTI ALTO car for rent manual and automatic self-drive car services. We offer the best Self Drive Car Rental in Cities like Coimbatore, Madurai, Trichy, Theni, Munnar, Kodaikanal and Ooty. We offer the quality of self drive car rental services in Airport places like Coimbatore Airport, Madurai Airport and Trichy Airport. Also, Royalpicks services is Self drive car rentals in Coimbatore, Chauffeur driven car rentals in Coimbatore, Car rental with driver in Coimbatore, Online self drive car booking in Coimbatore, Luxury car rental in Coimbatore. Self drive car rental offers the perfect self drive car rental packages for riding from Coimbatore to Ooty. Many people love to go ride by self drive car rental from Coimbatore to Ooty on Weekend but the only confusion is to select the best self drive car rent in Coimbatore with good condition self drive car and flexible self drive car tariff. And also we have an amazing option to pick up the self drive car like you can pick up the self drive car anywhere in Coimbatore with prior intimation. Royalpicks self drive car rent in Coimbatore offer Maruti Alto self drive automatic and manual self drive car in Coimbatore with flexible tariff. Royalpicks self drive car rental in Coimbatore is the top self drive car rental company in Coimbatore for providing the cost-effective self drive car services in Coimbatore. We have various varieties of car models for your needs. Self drive car rent in Coimbatore always give freedom to select your favourite self drive car rental in Coimbatore. Royalpicks is the Good user friendly service. The cost also very less compare to other self drive car rental company in Coimbatore. Self drive car rental in Coimbatore offers cost effective and cheap luxury self drive car rental in Coimbatore. Royalpicks offers the best self drive car rental in Coimbatore. Royalpicks self drive car rental Coimbatore offers the quality of self drive car rental services in anywhere. Royalpicks self drive car offer the pre-booking self drive car rental services for saving your time. We have an option to book self drive car rental in Coimbatore in both online and offline. We help to enjoy your holiday trip, business travel, corporate trip and your personal travel. Have step by step process of booking a self drive car rental in Coimbatore with Royalpicks. And also, Royalpicks offer the cheap and best car tariff packages to anywhere.